The bangaloREsidency is as much a programme for local hosts and artists as it is for the residents. We caught up with two hosts to know their thoughts on the residency. 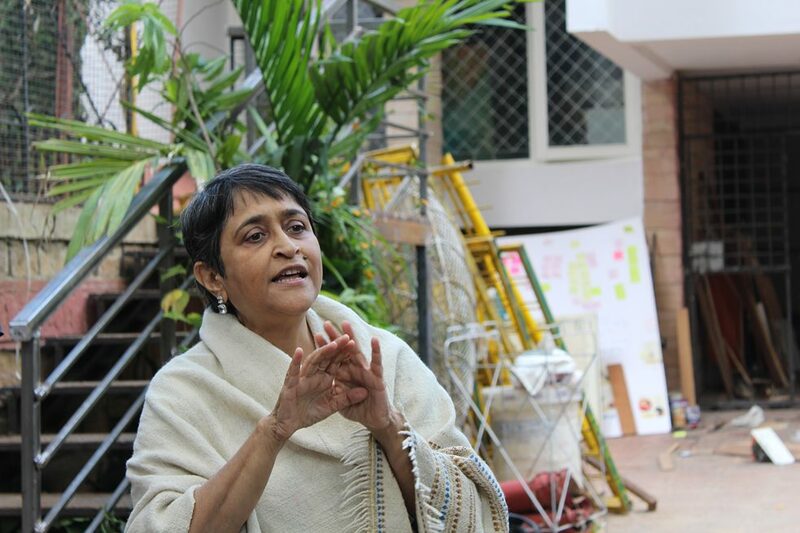 Poonam Bir Kasturi heads Daily Dump, one of the bangaloREsidency’s newest partner organisations, and Archana Prasad heads Jaaga DNA, a long-time host of the residency. This year, Marius Land and Walter Solon, respectively, are in residence at these organisations. Poonam Bir Kasturi | Photo: Maximilian Hollerith © Goethe-Institut / Max Mueller Bhavan Why did you choose to be a host of bangaloREsidency 2018? We work to change mindsets and perceptions around waste, and having different points of view helps us create a diverse map of the issue. The diversity of views on the subject helps us engage our audience more deeply and we hope that the change of behaviour will be towards less wasteful decisions. An artist from the bangaloREsidency provides a new view and adds to this map. What do you find most fascinating about Marius' project? Have you had any specific pointers or led him to particular resources? The idea that a thing can be more than a utilitarian time bound object and can be imbued with various meanings and purposes is to my mind the most interesting aspect of Marius’ project. We have connected him to other designers who know our work and who also have a history of making great products which have different interpretations. What do you think a programme like bangaloREsidency contributes to the city? A programme like bangaloREsidency brings new cultures and new ideas that intersect with our culture and urban realities. This builds dialogue, conversations, engagement and learning. Communities of different kinds benefit from this – the local artist community, the citizen groups that intersect with the Goethe-Institut / Max Mueller Bhavan, the creative student community, partner organisations and, of course, public groups that view and interact with the artworks. 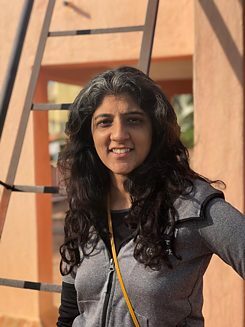 Archana Prasad | Photo: Rudi Solon Why did you choose to be a host of bangaloREsidency 2018? Jaaga is one the earliest partners of the bangaloREsidency and that came about organically. We were curious about collaborating with people outside the city and the country on projects that were underway and the residency became a way to bring in people with new ideas and perspectives. It is interesting that the bangaloREsidency has become such a large programme that has grown carefully and thoughtfully. While it definitely builds an Indo-German network, it also enables networking within the city. It gives host organisations the opportunity to bump into each other—we are often too busy to do that. During the course of the residency, cultural activity in the city is amped up as there are so many residents presenting so many different projects. Through this, we also get to see the ongoing work of the host organisations and their other artists who are active practitioners in the city. It is a valuable cultural collaboration. Is there anything you'd like to change about this programme for next year? Yes and no. Earlier, I felt that ten residents was too much but the city has changed and there is a bigger demand for cultural activities… so I don’t think that argument holds anymore. Although there is a lot of value in all the residents coming together, as they get to interact with each other and build their German networks (and not just their Indian ones), I wonder if the residency can operate in phases so that residents come through the year. Like I said, the city has changed and there could be more sustained activity.